Application in food industry-Zhang Jiang Automation (Jiangsu) Co.Ltd. 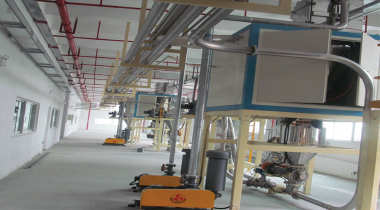 We can supply customized solution to make sure production operation smoothly. The production line is applicable for banking material, solid beverage raw materials, fast noodle production materials to weigh and convey. Powder and liquid can be used and every weighing system can be customized for different customers.